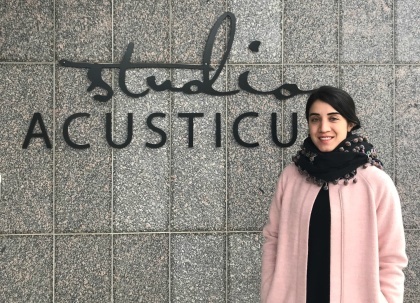 In a new collaboration between the north and south of Sweden artist Vivian Caccuri, has been invited to Acusticum in Piteå to work with a new sound artwork ”A Soul Transplant” to be exhibited at Röda Sten in Gothenburg during the spring of 2019. The composition, written by the artist and recorded during a residency made in collaboration with Resurscentrum för konst and Studio Acusticum in Piteå (a part of Swedish Lapland Artist-in-Residence), combines human voice, pipe organ, mosquito sounds and wind instruments. It is reproduced mostly in the dark in a multi-channel large-scale sound-installation at the Cathedral room at Röda Sten Konsthall.